Enter as much information as possible to find the part you need. 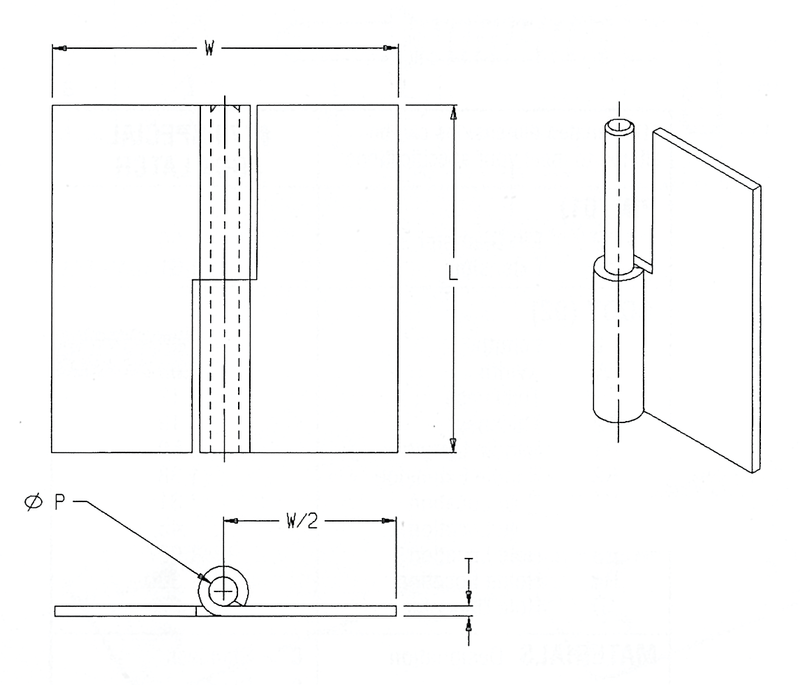 Slip Joint Hinges, also known as “take-apart” hinges, are well-suited for applications such as removable doors and panels. They are comprised of a male leaf with a fixed pin and female leaf with no pin, and available in a right hand or left hand configuration. These parts are readily available in steel or stainless steel, though they can be reproduced from virtually any desired metal or alloy. Most common finishes include zinc on steel, passivate and electropolish on stainless, and anodize on aluminum. Most hinges are stocked without holes or with two holes per leaf, and custom hole patterns can also be requested. *Having issues determining which file to download? Select the STEP file download dropdown. Contact us today to find out how Paneloc products can help you!